Attach to a Noble hero. 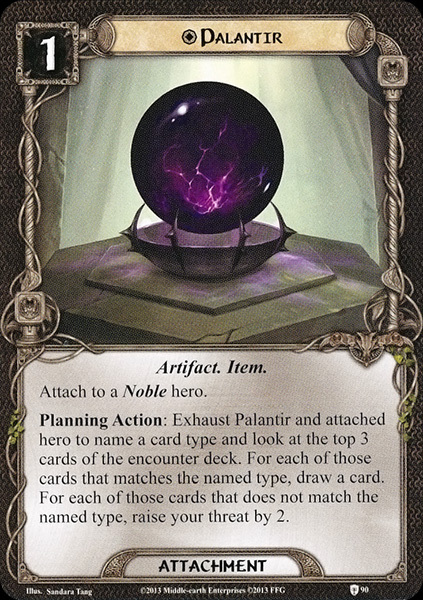 Planning Action: Exhaust Palantir and attached hero to name a card type and look at the top 3 cards of the encounter deck. For each of those cards that matches the named type, draw a card. For each of those cards that does not match the named type, raise your threat by 2.